India's music listening habits are vastly different from its western counterparts and to help streaming services serve us better, Gracenote is here with its massive collection of metadata information. Streaming services are booming in India. A rise in mobile data consumption has given birth to a cord-cutting generation that now relies majorly on the internet for their music and movie needs. Around two dozen streaming services are operating in India and according to an EY report, Indian spending on digital subscriptions grew by 50 percent to Rs 3.9 billion in 2017 which is estimated to hit Rs 20 billion by 2020. Most of these services don’t have Indian roots. Services like Apple Music, Amazon Prime Music and Netflix are American. Their algorithms and recommendations are more suited towards the American and European audience. If people in the West look for the album or the genre to choose their music, Indians sort their music based on the movie it was used as part of the soundtrack. 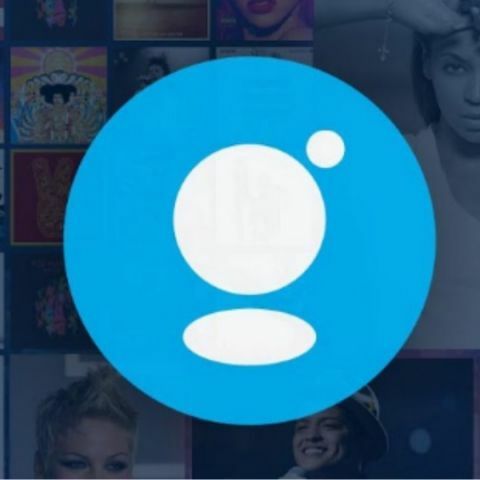 The difference is big, but these streaming giants have a guardian angel — Gracenote. If you have been on the internet in the early days when CDs were the primary source of music and Winamp, iTunes were ruling the roost, Gracenote’s services must have come handy. The company provides an online music database to businesses that helps users to search and manage digital media. Over the years of operations, Gracenote has now the largest music metadata database that it licenses to businesses like Spotify, Prime Music and Apple Music. This week, Gracenote announced it has localised descriptive music information for Indian listeners. Since 2016, with the introduction of Reliance Jio’s 4G networks, India has been undergoing a digital revolution. There are now more than 340 million smartphone users in India and the number is poised to hit 44 million by 2022. Connected cars, smart TVs and speakers are also on the rise. All these users are now turning to the internet for their content needs, be it music, movies or TV series using these devices. CDs and DVDs are almost extinct while streaming services are the go-to places for the latest movie or music. On the other side, services like Gaana and Saavn are adding millions of tracks to their library every day and it gets quite difficult for a user to discover music in the midst of such content explosion. Most of these streaming services use complex algorithms to recommend new music and create automatic playlists and help in music discovery. The recommendation algorithms extract the data from the content to understand the patterns of the listener to match it with them. A key ingredient in such algorithm is metadata. It’s essentially the underlying summary information of a data file that is used to simplify the understanding of that data. For instance, a doc file’s file size, author, format, etc. are all part of the metadata. In case of music, it’s the artist, album, genre, year of release, etc. that counts as metadata. Here’s how metadata helps — Imagine you have a huge library of music files saved on your PC. Keeping them all in one folder will take you hours to find that one track you listed to. So, you group your music first in the form of albums. Then you group the albums under the artist they belong to. Then you group those artists based on the genres they belong to. As a result, when you sit down to listen to some rock music, you know exactly where to go to. It is this bustling and booming market that Gracenote wants to cater to, in India. Armed with probably the largest music metadata database, Gracenote caters to six billion queries every month over a billion connected devices for 200 million tracks. The music industry in India works differently as compared to other parts of the world. Where in the West, music catalogues are classified into artists, albums, genres, etc., film-based music takes precedence in India. It’s a different culture of consuming music where songs are categorised and organised around movies. Add to that over 22 different languages Indians speak and an array of digital platforms to choose from. All this make traditional classification of music insufficient for accurate recommendations and discovery. Gracenote wants to help make it easier for us to navigate through this complex web of parameters and settle for the music we want. Metadata isn’t just the artist, album and genre any more. With the proliferation of AI and machine learning, metadata now includes a lot more. Using AI tools, generating metadata is now easier as machines now listen to the tracks and assign them data points that are later used by other machine learning algorithms to sort through the data and find what you’re looking for. Gracenote’s AI algos also scan the tracks and look for three specific pieces of information — Mood, tempo and the style. The company believes this kind of metadata is more accurate, granular and consistent. “A song like Queen’s Bohemian Rhapsody which spans across various tempos, styles and moods is a great example to challenge our work with,” said Brian Hamilton, General Manager of Music and Auto at Gracenote. “But these algorithms work as well as they do because we trained years training them with the help of the industry’s best musicologists,” he added. To acquire such granular details of a song, the algorithm uses what Gracenote calls a feature package and depending on what needs to be done, it looks for certain attributes from it, basically analyzing the audio. It’s more than just the frequency and the instruments used in the track that determines the mood and the style. It’s another word for machine-driven genre and using such attributes, Gracenote can get around the challenges of the diverse landscape that is Indian music. The Indian music market is one of the most complex in the world. It’s not easy for a music service provider to cater to the needs of the Indian music listener using the same tools they use elsewhere. Based on the insights gathered by Gracenote, we rely more on the tempo and mood of the song rather than the artist and album, and using the AI-based algorithms to classify tracks, music services are going to know us better than ever. Which is the best streaming device/box? which is the best kindle to buy in india?